The field of coaching is kind of like the wild, wild west in that it’s a relatively new “field” with little regulation, rules or clear definition although it is evolving rapidly. 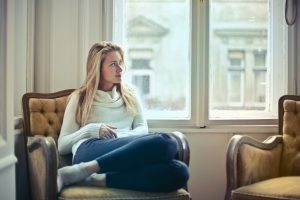 I am going to cover some important and sometimes controversial issues here that you need to know whether you are a licensed psychotherapist considering offering coaching services, a person thinking of leaving your current profession and becoming a coach or an individual trying to decide whether you want to start therapy or hire a coach. It’s important when examining counseling vs. coaching that you take careful inventory of these 4 topics so that you make an informed decision about the next steps you take whether for your personal growth or your professional development. Do not jump in without doing your homework. Let’s dig in to 4 important topics . . . They both start with C. They both involve a helping professional and a client. While there can be some cross-over, as you will see, they are actually two very different services and it’s important to clearly establish the distinctions. The words “counsel” and “counseling” are sometimes used to refer to the advice one receives from an attorney or a financial advisor or a member of the clergy. For the purposes of this article we are referring to professional counseling as psychotherapy services in the arena of mental health. Because I provide both counseling and coaching, I do know how very important it is to have clarity on how these services are differentiated and I feel it’s our duty as professional counselors who also provide coaching services to help others understand the differences. • is a form of psychotherapy. • is a relationship-based process in which the client most often presents with challenges that are causing imbalance and difficulty functioning in daily life. • provides a space and time that allows for the client to feel deeply supported, seen and heard as the client and therapist gently work together to uncover the root of the presenting pain and/or challenges. • allows the therapist is able to help facilitate emotional healing and positive behavioral change. • involves examining past experiences, patterns, events that have occurred and contributed to the present pain and difficulty being experienced. • examines relationship dynamics and systemic issues. • is an unfolding process through which healing and growth occurs. • includes a treatment plan which contains goals, objectives and specific interventions typically determined by the therapist based upon assessment of prognosis and there is most often a diagnosis that directs the treatment plan. • is under the umbrella of mental health care often connected to psychiatric medical care and health insurance filing processes. • is a clinical process. • is a shorter term service, typically with a set number of sessions often paid for all at once in advance. • is a solution-based service with individuals who are high-functioning. • has a focus on what is happening currently for an individual on a very particular topic as well where a person wants to go or be moving forward. • provides a definition of specific goals set by the client not the coach. • identifies the client’s existing strengths and skills. • teaches the client new skills adopted and practiced right away to work toward the established goals. • provides a very clear accountability measure with a high level of structure. • should be encouraging and empowering for the client but does not address deeper emotional issues. There are many kinds of coaching services. There are life coaches, health coaches, business coaches, career coaches, relationship coaches, parenting coaches,mind-set coaches, fitness coaches just to name a few. Patrick Williams, an active member of the American Counseling Association and a coach was a psychologist for 28 years before helping to found The International Federation of Coaching. Wiliams says that psychotherapy is here to stay and will always be needed for people who have clinical issues that need to be addressed. “Therapy is about uncovering and recovering, while coaching is about discovering,” Williams said in an interview with Jim Patterson in a 2008 article in Counseling Today. Scenario A: Often clients initiate services with a counselor because they are looking for short-term solution, advising and skills for a particular topic but they don’t know any difference between counseling and coaching. This kind of a client knows what he wants, is high functioning. The initial intake during a phone conversation is an important time of screening in order to determine what kind of services a potential client actually needs. Let’s say you are a psychotherapist and you receive a call from a father saying he wants to learn how to be a better dad after having read a book on positive parenting. He reports in the initial phone conversation that he had a stable childhood, still has strong and healthy relationships with his own parents, has a healthy marital relationship and a steady job that he really enjoys and his son is a “great kid” doing well in school and seems to be very happy but this father tells you that he knows he hasn’t been as present or active with his son as he thinks would be best and since his son is going into middle school he knows he needs to learn how to be a more present and positive father. This potential client appears to have very good self awareness, emotional stability and expresses an eagerness to learn. You rule out history of trauma, abuse as well as substance abuse or addiction. This is a client who probably does not need clinical services. This is a client who is really looking for parenting coaching. Does that mean you, the counselor need refer this father out to a parenting coach? Perhaps. But not necessarily. If you are a professional counselor trained, long experienced in childhood development and in providing parenting support in your therapy work, you likely have the knowledge and ability to provide the short term coaching service this father is seeking. You will need to be very clear that this service is different and apart from clinical services, however. (See #3 and #4). If this is not your wheel-house professionally, it would be appropriate to refer this father to a qualified someone who specifically offers parenting coaching services. Scenario B: Sometimes the lines between counseling and coaching are blurred when a client signs on for life coaching with a coach who is not a mental health professional. In fact, I hear of this happening a lot. Many people feel there is a stigma attached to pursuing psychotherapy/counseling so they look on the internet for a life coach. The life coach, happy to have a paying client takes this person on and gets in over her head. For the sake of providing an example, let’s say you are not a mental health professional, you were laid off from your job in the corporate arena and you decide to strike out on your own, be your own boss and be a life coach. After all, you’ve lived a lot of life! You can help people! You worked in human resources and you know a thing or two about people. You read an article about how you can become a life coach simply based on your own life experience and you don’t need training or certification. But you buy a book on how to be a life coach and take an online course about how to start an online business as a coach. You connect to thousands of other coaches in a bunch of Facebook groups and you are well on your way. You receive a call from a man who says he wants to do life coaching to learn how to be a better father. You have a father. You are a parent. You think to yourself, oh, surely I know enough from my own life experiences to help him. You decide you can help this man so without doing any kind of screening (because how would you know to do that, right?) you sell him a package of 12 coaching sessions. Session 1 and 2 go pretty well because you are able to help him identify his goals and you provide some assignments for reading a couple of parenting books you’ve yourself read and he seems eager to learn. But in session 3 he’s sobbing as he confesses to you he got really drunk and beat his son with a belt last night and then he tells you he was horribly abused as a child by his own father and he’s afraid he’s repeating those patterns. You feel compassion for him so you begin trying to help him by asking him about his experiences as a child. You have now stepped into the realm of counseling and you are not trained or licensed to do so. Now what? This is where you would need to know where the line is and have a plan for carefully but clearly referring this client to a licensed mental health professional. As you can see, this is potentially dangerous territory. If you are not a licensed mental health professional you should not jump into providing life coaching without quality training and credentialing (see #3). It’s vitally important to not practice outside of the scope of your training and professional knowledge. A licensed professional counselor has a masters degree and sometimes a doctorate degree in the theories and practice of psychotherapy, human development, abnormal psychology, family systems and research methodology. A counselor is required to complete an internship and practicum plus typically three years (depending on state of license) and many hours of practice working with clients under direction and clinical supervision BEFORE becoming full licensed. Before a counselor can offer services in private practice she has to go through at least 3 years of graduate training plus another 3 years of supervised and directed experience. Additionally a counselor must complete hours of continuing education for the rest of her career in order to keep her license active. Last but not least, a counselor is trained ongoing to abide by strict codes of ethics and is held to those standards by ethics committees and a licensing board. The field of coaching has training available. The International Federation of Coaching, for example, was founded in the 1990s and provides a directory of credentialed training programs. Around the same time the Center for Credentialing & Education affiliated with the National Board of Certified Counselors to provide credentialing and offers a Board Certified Coach credential to those who have completed particular requirements. Martha Beck has a masters and a doctorate degree in sociology and she provides excellent training and certification for life coaching. Brene Brown, LCSW offers The Daring Way training for mental health professionals who want to learn a coaching model. There are many high quality coaching certification programs available outside of these. And then there are some fly-by-night programs that are not going to give you the quality training you may need so be sure to really do your homework before investing in coaching training because there is little if any regulation. But just because there is coaching training available does not mean it is required in order to provide coaching services. There is no hard and fast rule anywhere that says you have to be trained or certified. The coaching field is not really regulated. But, it never hurts to receive additional training if in doubt and there are programs as cited above specifically geared toward preparing mental health professionals for providing coaching services. I, myself, received training on how to be a coach and then became certified through Jack Canfield’s Train the Trainer program. But I did not feel the need to get training to provide parenting coaching or relationship coaching specifically as I already have had extensive training and experience on these topics along with training in how to provide coaching and training. For seasoned, experienced mental health professionals already well familiar with cognitive-behavioral theory, the process of cognitive restructuring and psycho-educaitonal methods, shifting to a coaching model is very plausible without becoming certified as a coach. If you have advanced knowledge and extensive professional experience on a particular topic, and you’re truly an expert on that topic, you probably don’t need to go be certified as a coach to provide coaching on that topic as long as you are clear on how to keep coaching distinctly separate from therapy. As illustrated above, if you have been providing parenting training and support and have a rich base of knowledge in early childhood development, you can probably provide very good parenting coaching without further coaching training. Another example is one business coach whose work I admire, Jennifer Trask, has a Bachelors in marketing and an MBA with an international business focus. She also has years of experience in business in general and specifically in the business of coaching. And she coaches coaches on the business of coaching. Her educational background and experience in business qualifies her as a knowledgeable coach with or without coaching training and certification in coaching per se. There are many people who are not counselors, not social workers, having zero training in coaching or psychology, human development and mental health who are out there providing life coaching services. Those of us who are licensed mental health professionals have good reason to be concerned because too many people think they can hang out a shingle as a life coach without any training and get in over their head as described in Scenario B above. If you are considering becoming a life coach or if you are looking into hiring a life coach, ensuring quality education and certification is so very important. 4. Carefully Keep Counseling & Coaching Separated. If you are not a mental health professional and you are providing coaching, you, first, need to have a full understanding of the differences between counseling and coaching (see #1). You also need to provide an informed consent agreement for your clients to review and sign that specifically explains coaching services are not psychotherapy or counseling services, not mental health support and that at anytime during the coaching process if you determine it appropriate to refer the client out for mental health services you will provide 3 qualified contacts and require that person attend to those needs before continuing coaching services. You will need to know how to screen potential clients and how to identify potential clinical issues that are outside the scope of what coaching can provide. If you are a mental health professional you need to have separate informed consent documents for counseling clients and coaching clients. You need to have coaching and counseling readily explained and distinguished on your website and in both sets of informed consent. If you are new or fairly new to being a professional counselor or other form of psychotherapist, please do not jump into providing coaching without pursuing training. Clarity and healthy boundaries that eliminate blurred lines with counseling vs. coaching is critical to ensuring clients receive the services they most need. If you would like to have a professional consultation to determine whether or not coaching services are something you can or should offer and to discuss the ins and outs as this relates to your career, please contact me personally and let’s schedule a consultation session.